Matt was born and raised in Pomona, California. He was in a Scouting family, which led to his earning the Eagle Scout award in 1978. Matt remained active in Scouting, becoming a Scoutmaster at age 21 for a local unit in need of leadership. After a short hiatus to begin a family, he rejoined Scouting as an assistant Cubmaster with his son Scott, serving in nearly all unit leadership positions, ultimately taking on the role of Scoutmaster for his son’s troop. Matt has served at the district level as FOS Chair and Finance Chair, at the council level as the 100th Anniversary, Vice-President of Program, Council Treasurer, and Council Commissioner. Matt was a Wood Badge Course Director and is an active district trainer. Among Matt’s most memorable Scouting experiences are attending three National Jamboree’s (1977, 2005, 2010) and backpacking with his son Scott and his troop in the Eastern Sierras. Matt has been active in other areas of the community, serving as President of the Rancho Cucamonga Sunrize Rotary Club from 2009-2011 and a member of the Congressional Youth Volunteer Awards board for Congressman David Dreier. Matt attended Cal Poly Pomona for Computer Information Systems, and works with his siblings in the family business, Shelton’s Poultry, Inc. as the Vice President of Operations. Matt has 3 adult children. Alyssa, Mary and Scott (His Eagle Scout son). Paul was born, raised and attended school in San Diego, California. It was there that he participated in Cub Scouts and Boy Scouts. Paul received his undergraduate degree in Political Science/Public Administration from the University of San Diego. Following his graduation, Paul worked in the City Managers office of several Southern California cities. In 1982 Paul joined the Kaiser Permanente Health Care Program as the Assistant Director of Human Resources for the Inland Counties. Paul attended the University of Redlands receiving his Masters Degree in Human Resources in 1987. Shortly thereafter he joined the Operations Staff of the Southern California Permanente Medical Group, a position he has held since 1987. 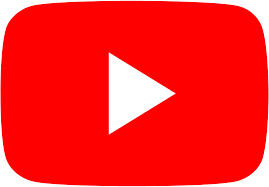 In this position, Paul is responsible for a staff in excess of 500 in twenty departments and a multi-million dollar operations and capital budget. 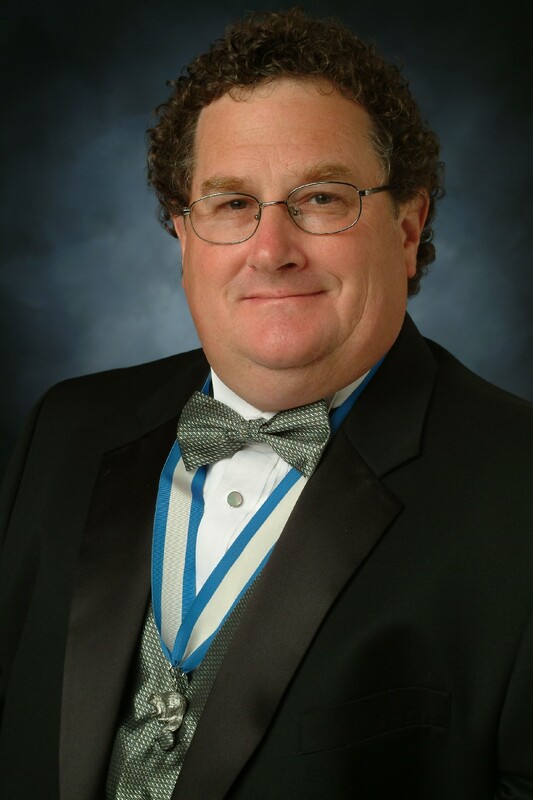 Paul has served as Cub Pack Committee Chairman, Assistant Scoutmaster, Scoutmaster, District Vice Chairman, Council Advancement Chairman, Executive Board Member and currently serves as Council Vice President for Programs. 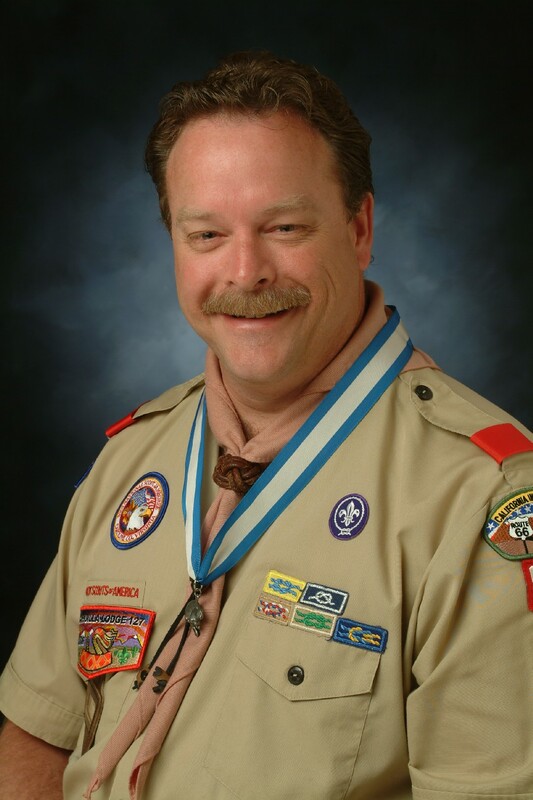 Paul has received multiple Scouting awards including the Silver Beaver, District Award of Merit, and Bronze Pelican. 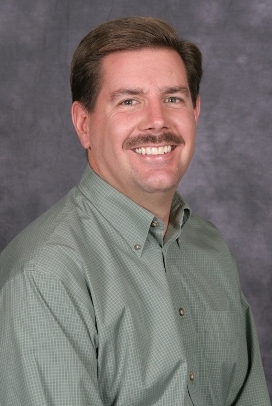 Paul has been active in the Redlands Community serving as Chairman of the City’s Planning Commission, President of the Chamber of Commerce, Board of Directors for the YMCA of the East Valley, Family Services Association of Redlands and the Kiwanis Club of Redlands. 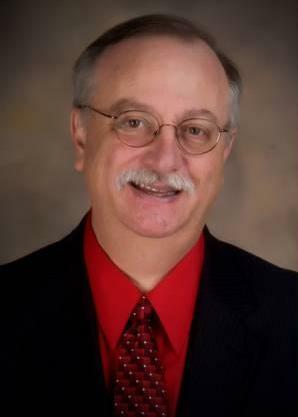 Currently Paul serves as the Mayor Pro-Tempore having been elected to the City Council in 2010. Paul is married to Juliana Foster. Paul and Juli have two sons, Taylor James Foster and Nicholas Chase Bornholdt (deceased), both Eagle Scouts. Richard was born and raised in West Valley City, Utah. He was active in Troop 651 and earned the rank of Eagle Scout in 1976. He was involved in the Order of the Arrow and worked on several camp staffs in the Great Salt Lake Council. Richard has been active in Scouting for over 30 years. He served 3 years as the Scoutmaster for Troop 844 in West Valley City, Utah and for over 12 years as the Scoutmaster for Troop 210 in Chino Hills, California. He has also served as a Pack Committee Chairman along with many other roles in the in Pack and Troop 210. He has served in the Temescal District for over 12 years as a Roundtable Commissioner, District Committee Member and District Chairman. He has also served as the Council Vice President of District Operations. Richard is Wood Badge trained and received numerous awards including Scouter's Award of Merit, Distinguished Commissioner Service Award, District Award of Merit and the Silver Beaver. Richard received a Bachelors degree from the University of Utah and an M.B.A. from Westminster College in Salt Lake City. He is Director of Business Development for Western Water Works Supply Company in Chino Hills, California. He also serves as the President of the Water and Sewer Distributors of America. Richard and his wife Stacey live in Chino Hills. They have one daughter and 3 Eagle Scout sons, they also have 3 grandchildren. Mike’s Scouting career began as a Cub Scout in St. Louis Missouri. As a Boy Scout, he was a member of Troop 413 in La Verne, California, where his father served as Scoutmaster. Prior to its merger with the California Inland Empire Council, Mike was heavily involved in Old Baldy Council. In his youth, he served as Lodge Chief of the Navajo Lodge and on camp staff at Holcomb Valley Scout Ranch. As an adult, he served the Council as Vice President of Program, Vice President of Properties, and an Assistant Scoutmaster for two Wood Badge courses and the council’s 2005 Jamboree contingent. Mike is an Eagle Scout, and a Vigil Honor Member of the Order of the Arrow. He has attended three National Jamborees, was selected to participate in the National Pilot Course for Wood Badge for the 21st Century and has staffed National Camping School. He has also served as a Scoutmaster for National Youth Leadership Training. He has been a Den Leader and Cubmaster and is currently Scoutmaster of Troop 202 in Chino. 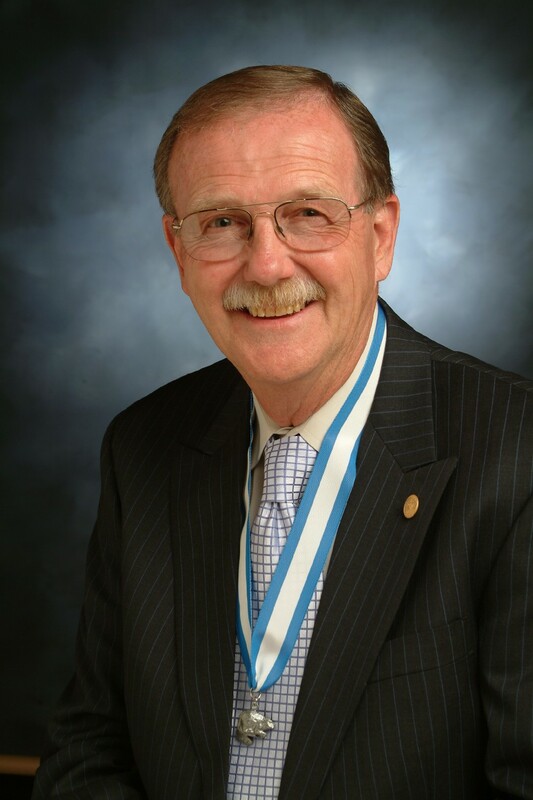 In the past Mike has served as Council Commissioner and Council President for the California Inland Empire Council. Mike received two Bachelor degrees and a Masters degree in Architecture from California State Polytechnic University in Pomona. He is a partner in the Orange County architecture firm of Tanaka Riley Architects. He and his wife Carol have been happily married for more than 28 years. They have two Eagle Scout sons - Christopher, who is majoring in Architecture at Cal Poly Pomona, and Glenn, who studies Nuclear Engineering at Purdue University in Indiana. Bryan was raised in Rochester, New York where he was involved in two Explorer Posts, one based in a computer company and the other for engineering based at Xerox Corporation. 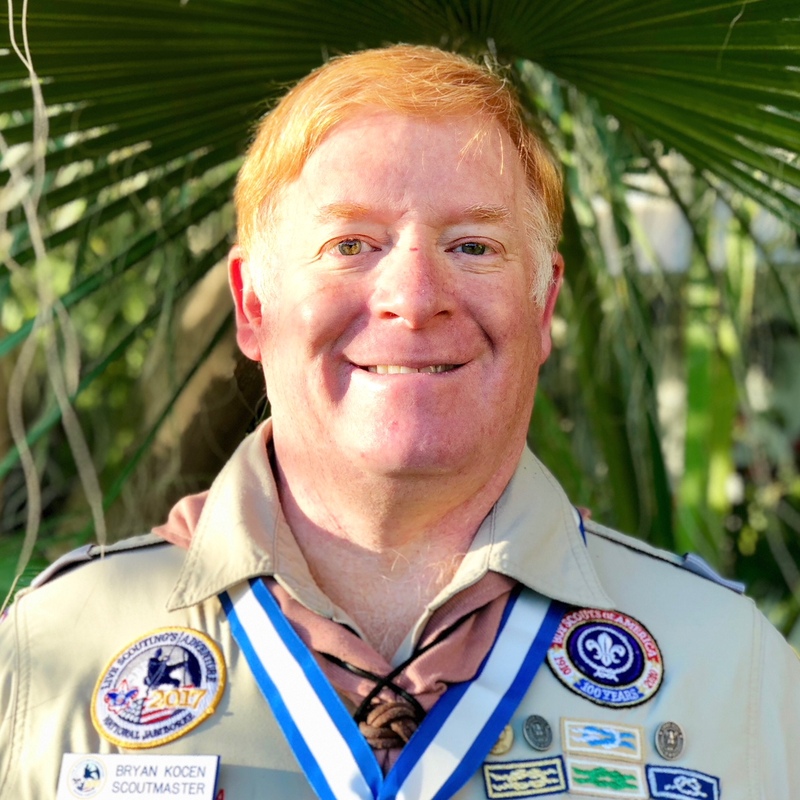 Bryan returned to scouting when he founded Troop 707 in Rancho Mirage, CA. Bryan served as Assistant Scoutmaster for 8 years and has been the troop Scoutmaster for the last 3 years. He is a Brotherhood Member of the Order of the Arrow. Bryan has served as the Sunrise District Finance Committee Chair and Friends of Scouting Chairman. Bryan has served on the Council Board for 2 years and is currently Vice President of Finance. He also serves on The National Jewish Committee on Scouting where he is Chairman of the Development Committee. Bryan is Woodbadge Trained and has staffed the course. He has also been Assistant Course Director at our Council’s National Youth Leadership Training (NYLT). Nationally, Bryan has staffed and course directed NAYLE (National Advanced Youth Leadership Experience) at Philmont Scout Ranch. NAYLE is BSA’s highest level of leadership training for youth. Bryan has also participated in and staffed Philmont Leadership Challenge. This course is the highest level of national training for adults who have completed Woodbadge. He is the recipient of the Scouter’s Award of Merit, District Award of Merit, and the Silver Beaver Award. Bryan staffed two National Jamborees, as a volunteer in 2013 and Scoutmaster for the CIEC Jamboree Troop in 2017. He was the Assistant Scoutmaster for the Western Region Scout Troop at the 2011 World Jamboree in Rinkaby, Sweden and will be Scoutmaster for the CIEC troop to the World Jamboree in West Virginia in 2019. Bryan has a Bachelor of Arts (BA) degree in Economics from Union College and a Masters of Business Administration (MBA) in Finance from The University of Chicago Graduate School of Business. Bryan is President of The Kocen Financial Group, Inc., a registered investment advisor, that he founded with his wife, Gail Kocen. Bryan and Gail have been married for 27 years and have two sons, Sam and David, who are both Eagle Scouts. Sam is working for the BSA as a Philmont Ranger. Mike was born and raised in Corona, California. He was active in Pack 113, where he earned his Arrow of Light award, joined Troop 54, attained the rank of Eagle Scout, was a member of the Western Region contingent to the World Jamboree in Alberta Canada, and participated in a Philmont Trek. While attending California Polytechnic State University in San Luis Obispo, where he graduated with a BS degree in Business Administration, Mike served as an Assistant Scoutmaster to a local Troop. Upon returning to Corona, Mike served as Scoutmaster for over sixteen years for Troops 54 and 35. In the last few years Mike became reacquainted with Cub Scouts, following his son Austin to Pack 134, where he was a Tiger Den Leader, Cubmaster, Den Leader, Webelos Den Leader, and Assistant Cubmaster. Mike currently serves as the Advisor to Crew 54, Assistant Scoutmaster for Troop 54, and Committee Member for Sea Scout Ship 304. In the community Mike was a founding member of the Friends of Temescal, Inc. and has served as President of the organization for over twenty years. He is active in his church, Northpoint Evangelical Free Church of Corona. In business, Mike is President of Downs Energy, a Corona cased wholesale petroleum & lubricants supplier that has been owned and operated by the Downs family since Mike’s grandfather founded it in 1940. Mike is happily married to his wonderful wife Julie, and has three children; Austin, Kaitlyn, and Victoria. Mike previously served as the Temescal District Finance Chairman, Council Vice President of Advancement, Council Vice President of Facilities, and was a Wood Badge Course Director. He is a James E. West Fellow, a member of the 1910 Society, a Vigil Honor member in the Order of the Arrow, recipient of the National Outstanding Eagle Scout Award, and was presented his grandfather’s 1956 Silver Beaver Award (Riverside County Council) when Mike was recognized for his service to the Council. Married to Sue for over 43 years, 3 children Dan Life Scout, Mark Eagle Scout and Kathryn always wanted to be a Cub Scout. Sheila was born and raised in Monroeville, Pa, where during her youth she was active in Girl Scouts. Sheila attended Youngstown University and earned her Associates Degree in Computer Science. She has been working in the Information Technology field for 45 years and is looking forward to retirement this year. After college, Sheila lived in Florida before moving to California where she met Gene, her husband of 38 years. They have two children; their son Eugene (37), who is an Eagle Scout and their daughter, Michelle (33), who earned the Girl Scout Silver Award. Sheila is currently a member of Fontana-Rialto ELKS Lodge 2013 where she is Charter Organization Rep to two units. 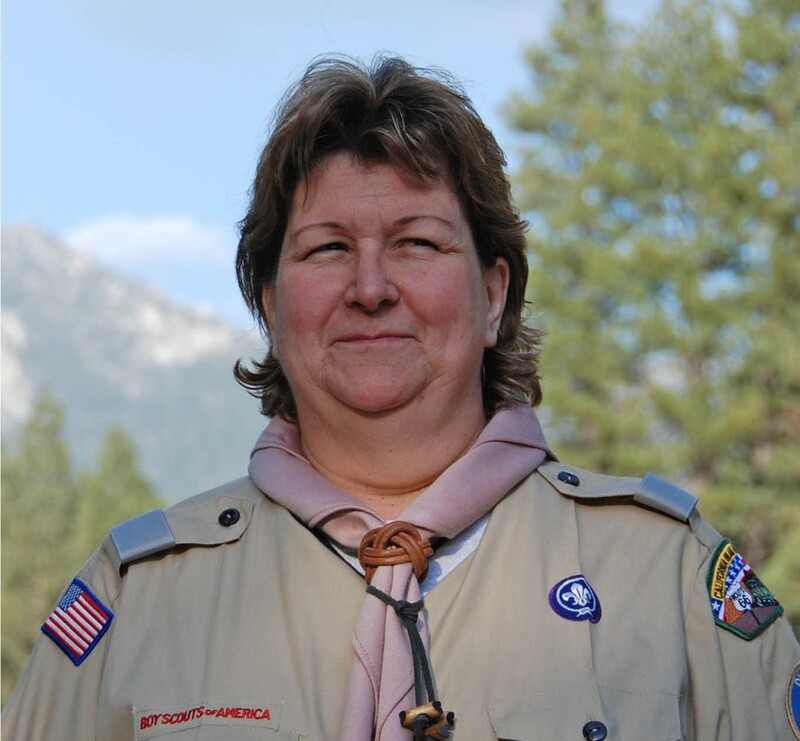 Sheila was a Wood Badge Course Director and she has served on many district and council training teams. During her 30 plus Scouting years, she has held many different positions within Pack 625, Troop 625, Crew 625, Old Baldy District and C.I.E.C. Council. She has been awarded the District Award of Merit, the Silver Beaver, the Girl Scout Out-standing Volunteer and the Girl Scout Honor Awards. Matt began his scouting career as a District Executive in the Oregon Trail Council, in Eugene, Oregon. 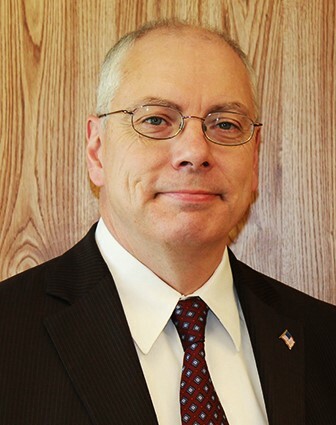 He has held numerous positions during his BSA career in councils including; Silicon Valley, Redwood Empire, Pacific Skyline, San Francisco, and Detroit Councils. Matt also served on the national staff as director of the STEM/NOVA Initiative. He was the Scout Executive in the Greater Wyoming Council. Recently he was the director for the 2017 National Jamboree. Matt is an Eagle Scout, Vigil Honor Order of the Arrow member, and Rotarian. He is also a Major in the Army Reserves specializing in logistics planning with 18 years of experience. In addition, Matt was on active duty with the Army Reserves in 2007-2009. He enjoys running, traveling, and chess. Matt and his wife Michelle, have two children (Jennifer and Michael) and a dog (Missy). With the exception of the Scout Executive/CEO, all council officers, district chairs and executive board members are independent, voting members of the council board.